Reims train station (Grand-Est) was completely closed and all rail services stopped this weekend after a passenger made a bad joke. According to reports, the alarm was raised just after 19h on Saturday, when - aboard carriage 15 of the 19h13 TGV to Paris - a passenger asked another passenger the time, and then replied - “Oh, well that’s OK, I still have time to blow everything up” (“Ah bah ça va, j’ai encore le temps de tout faire sauter”). 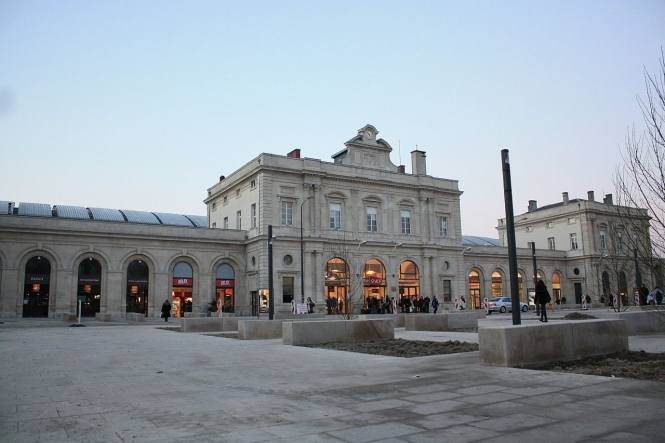 Unsure if the remark was serious, the first worried passenger then alerted police, putting Reims station on high alert. The alarm sounded, and all train traffic in and out of the station was stopped. Staff and passengers were evacuated, and the “joker” in question was arrested. Bomb specialists were called in from Châlons-en-Champagne, and the station was searched. Investigations revealed that the “bomb threat” was genuinely just a “bad joke” - from none other than an ill-advised 16-year-old boy. Originally from the Lille area, he was kept in police custody overnight and questioned. After two hours of alert at Reims, the all-clear was given and train traffic restarted around 21h15.